The finding was contained in a report from the International Atomic Energy Agency for the U.N. Security Council and the 35 IAEA board member nations. Diplomats who spoke to the Associated Press that week said they did not know why the thousands of centrifuges stopped turning out material that Iran says it needs to fuel a future network of nuclear reactors. Speculation has focused on the Stuxnet worm, which cyber experts have identified as configured to damage centrifuges. Vice President Ali Akbar Salehi initially said details about the virus became known only after Iran's "enemies failed to achieve their goals." Salehi said in October that a months-long delay in starting up Iran's first nuclear power plant was the result of a small leak, not the computer worm. 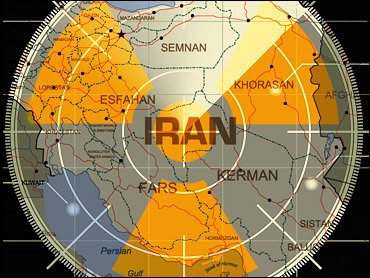 Iran's refusal to stop enriching and accept offers of nuclear fuel from abroad has caused concern because enriched uranium can also arm nuclear warheads. Tehran is under four sets of U.N. Security Council sanctions for refusing to stop enriching. Iran denies any nuclear weapons ambitions and says its program is only for peaceful purposes like power generation and medical research. The malicious computer code, designed to take over industrial sites like power plants, has also emerged in India, Indonesia and the U.S. But it has spread the most in Iran. Though it infected several personal computers of workers at the Bushehr plant, Iran says the facility's main systems were not affected. Still, that was the first public sign to emerge that the code has hit computers linked to Iran's nuclear program.